Winter’s Coming. Is Your Car Ready? As I sat at a red light the other day, I flicked on the wipers to clean my windshield. They did a pitiful job. I made a mental note to change them before the rainy season, and realized there might be other things I need to do to get the car ready for winter. I ran it by my husband, Mike, and he said that he tells his customers there are five items that need to be checked before winter: wipers, tires, battery, lights, and coolant. Throughout summer, the heat bakes and warps the windshield wipers. After such abuse, wipers can’t clean the windshield properly and we all know how crucial it is to be able to see while driving in the rain. Make sure you have safe tires. Rain can make the roadways slick. 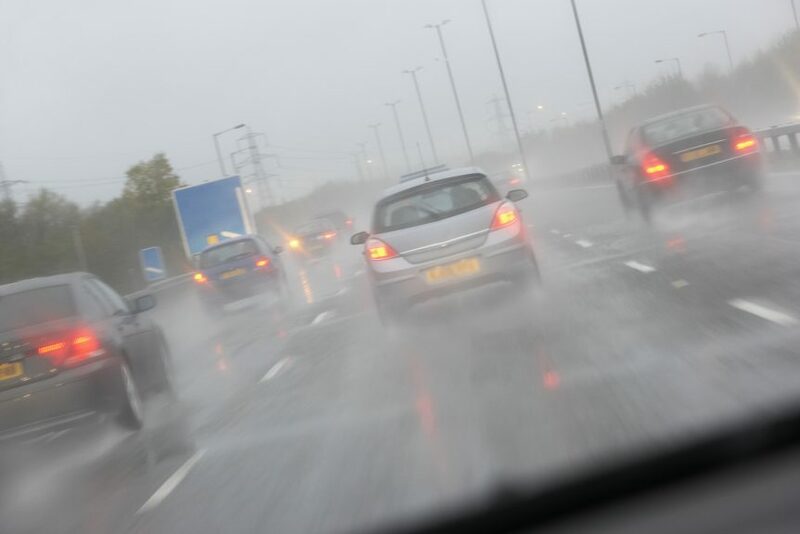 If your tires are bald and you’re driving in the rain, hydroplaning may result. If you’ve ever experienced this sliding and loss of control, it’s frightening. When there is plenty of tread on the tires you are much less likely to have problems. 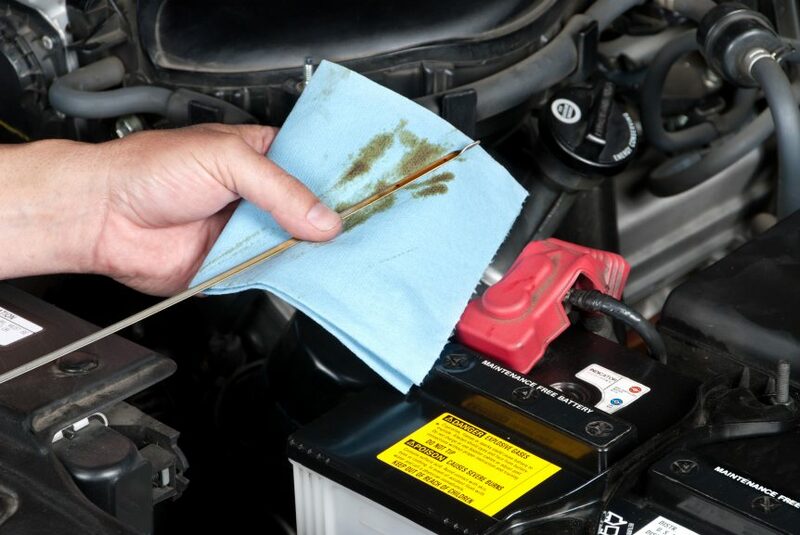 Get that battery checked to make sure your car starts every time. Nothing’s worse than turning the key in the ignition and nothing happens. Just imagine you’re in Tahoe and it’s snowing. Check your lights. It’s hard enough driving on some of those dark, country roads on your way to Thanksgiving dinner. I’m sure you’ve seen a one-eyed car driving down the street at night. Make sure that’s not you. It’s easy to take coolant for granted. What’s it for anyway? Mike says that coolant is stored in the radiator and flows through the engine to keep it cool. Frequently, people add water to the radiator, but when coolant is weakened or old, hoses and seals begin to deteriorate. Cold weather can produce further problems. As the temperature drops to freezing, that water you put in the radiator could freeze and expand, which damages the radiator and other parts of the cooling system. New coolant could have prevented this problem. Preventative maintenance (including oil changes, a tune-up, and brake inspection) is a wise investment, as is taking care of small nuisances early before they lead to large, expensive repairs. Even new cars require periodic checks to keep them running smoothly. Make sure your car is ready for anything Mother Nature sends our way. Leane from Helming’s Auto Repair shows us the difference between used and new brake pads. We all know that regular maintenance is important to keep our cars running safely and efficiently, but what does this entail and why is it so important? Regular maintenance (including oil changes, tune-ups, and brake inspections) is a wise investment. It is as important to your car as regular doctor visits are to us. Cars that are well taken care of are safer, get better gas mileage, more dependable, perform better, and last longer. Tip: When getting your car serviced or comparing prices, make sure you are comparing apples to apples and not apples to oranges. For example, when replacing a timing belt on some cars, your mechanic may recommend and include prices for a water pump and some seals since the extra labor is minimal (30 minutes) and to do it later could take four or more hours. Also, some shops may get you in for a low price on a timing belt and then let you know about the water pump after they’ve gone under the hood. Their price may not be as competitive in the end. Another plug for routine maintenance: We had a customer bring his car in because it was running very poorly. He was pleased that his car had lasted so long and he hadn’t had to put any money into having repairs done. Well, after thoroughly inspecting the car, it needed more than two thousand dollars worth of work done to get it back on the road, not including the new transmission it required. He decided to buy a new car. Now we see him regularly for preventative maintenance. We rely on our vehicles to get us to work, take us on a trip, and take our kids to school, playdates, and practice. Take care of your car, so it can take care of you. We had a new customer get their car towed in after it quit on the freeway. They hadn’t done the regular maintenance of timing belt and water pump replacement. Many of our friends and neighbors are now parents of teenage drivers, so we thought it would be a great idea to offer a free seminar to teach young people some car care basics. We had a great turn out for our first seminar. Mike started with a talk about the importance of oil in your car and what happens to the engine when you drive without oil. The lesson? If you’ve got an oil leak and don’t at least add oil periodically, your engine can overheat, damaging the valves and pistons. A new engine can cost $5000. We also showed everyone how to check the oil, where the dipstick is located, how to check your coolant, how to check and inflate your tires, as well as how to use the tools in your car to change a tire. It was great to see these kids totally engaged and taking part in the process. 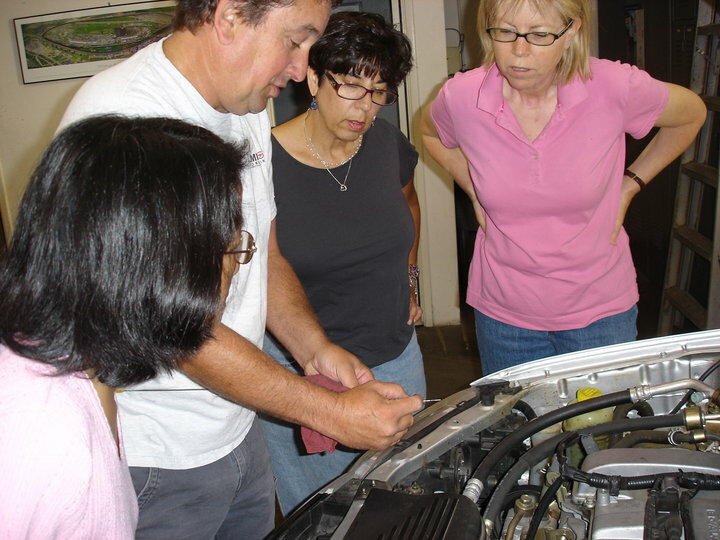 Requests for another Teen Car Care seminar as well as a seminar for women were overwhelming, so become a fan of Helming’s Auto Repair on Facebook or send us your email address to helmingsauto@comcast.net to stay informed (we don’t spam). It is our pleasure to serve the community that we love so much. Helming’s Auto Repair owner and master auto mechanic, Mike Reelfs, tells a group of young drivers how important oil is to a car’s engine and how costly it can be if you run out of oil. We also see the damaged caused, such as bent and broken valves. The first thing to remember is that all new cars come with an original warranty from the manufacturer that is good for at least one year and usually much longer. Manufacturer warranties cover defects, not normal wear and tear. Look closely at your car’s original warranty to see exactly what is covered. There is a common misconception that you have to take your car to the dealer for scheduled services (i.e., oil change, tune-up, etc. ), or you will void your warranty. The truth is any repair shop, not just the dealer, can perform your car’s regular maintenance, provided you keep good records. What may void your warranty is if you skip routine maintenance altogether. On the other hand, warranty work, such as a recall or something specified on your contract, must be taken to the dealership. 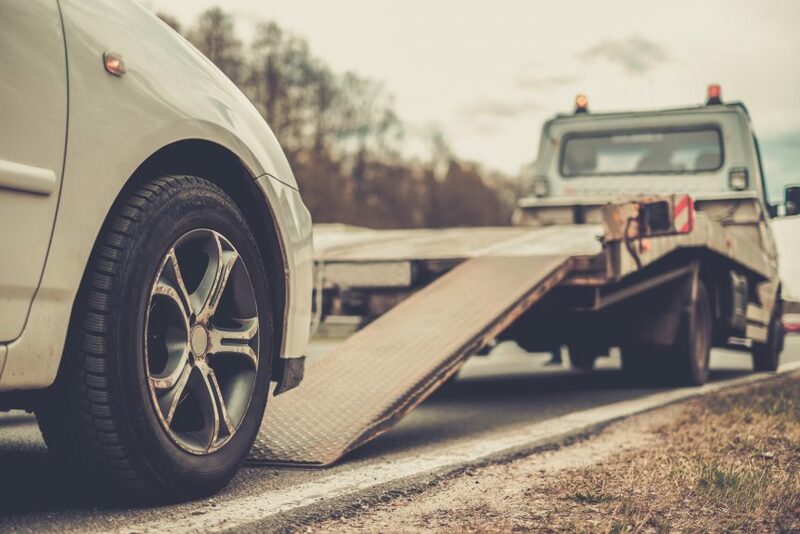 If you decide to purchase an extended warranty, there are two key types: those backed by the car’s manufacturer and those offered by independent companies, also known as aftermarket warranties. An extended service contract backed by an auto manufacturer is probably your safest bet. These protect the car purchaser against major repair bills beyond the life of the manufacturer’s warranty. Basically, these plans require the purchaser to pay several hundred dollars for coverage, and also to bear the cost of a deductible amount each time an auto repair is made. The nice thing is that your wallet won’t take as much of a hit at each visit. An extended warranty from an independent company could cost half as much as an extended service contract from a manufacturer. But the quality of this kind of contract varies widely from company to company. Shop carefully and read the fine print: some contracts have so many exclusions that the contract is almost worthless. When buying your vehicle, remember that it’s the salesman’s job to sell as much as he can. An extended warranty package increases his commission. Just as you can haggle on the price of your new car, you can haggle on the price of an extended warranty. Also keep in mind that extended warranties start the day you buy them, so if you buy an extended warranty the day you buy your car, you will have considerable overlap of coverage for car repairs. One last tip for those with a warranty contract: Have your mechanic inspect your car before your warranty expires so that you can have any warranty work completed by the dealer before the contract expires. What is the function of a Blend Door? Using an Expedition, Helming’s Auto Repair demonstrates the function of a blend door in regulating temperature inside a vehicle. Here we show how you have to take the dash apart to replace the blend door. The customer was unable to regulate the temperature in the car because the blend door was broken. Same amount of work (6hrs) to do the heater core. One of our customers at Helming’s Auto Repair wanted to see the ramifications of bad motor mounts, so we made a video of his car, a Honda Odyssey, and showed him. You can see the engine jumping up a little bit. When it gets worse you can do a lot more damage.